For the comparison sheet summary between the annuity fund and our new implemented 401K Plan, click here. To find the full document, simply go to our documents page or you can click here. 2. You can roll over your annuity to an IRA or cash it our after six months. (Do you have to wait 6 months to roll over an IRA or 401K Plan also?) Correct and Yes. Six complete calendar months from the date of the last contribution. Earlier if you are older than 55. 3. You still have to pay taxes on it for early withdrawal. (Do you know what the fee or the tax is?) 20% mandatory tax withholding regardless of age. 10% early withdrawal penalty if requesting a distribution prior to age 59 1/2. 4. Can you roll it over to the NBC Comcast 401K Plan so long as NBC Comcast accepts the annuity from the IATSE. It can be rolled over to any tax-deffered account that accepts incoming rollovers. As you see from the attachment, the NBC Capital Accumulation Plan (a 401(k) Plan Fidelity is different from the IATSE Annuity Fund. 1. With the new NBC 401K plan you will need to make a self-contribution in order to receive a contribution from the company, unlike before when the company just added funds whether you contributed or not. So please make a note of that. 2. The plan is now open not only to full-time members, but to part-time members as well. A big plus! 3. You will no longer be able to take out a hardship withdraw with the new plan, but you can take out a loan that will need to be paid back in the plan because it is a loan. 4. The new retirement plan packets will be sent out to our members individual by the company and soon as L.R. has the policy written up. So please make sure that Universal and the Union office has your current mailing address. 6. Last thing, we're saving in cost because Annuity IATSE cost $32/year,which was charged directly to participants. The new NBC 401K plan is $27/year. 7. If the old plan or the new plan ever show that you have no funds or missing contributions, please set up a meeting with David Akins at the union office to back track on why that happened. 8. If you would like to join our retirement and benefits committe, please contact David Akins at davidakins@b192iatse.org with your name, department, and email and you will be put on our base-camp for reported information on Retirement and Benefits information. We hope this helps. If you have any further question concerning this information, feel free to contact the Union Office for assistance. Use Annuity@iatsenbf.org so they can be handled as quickly as possible. 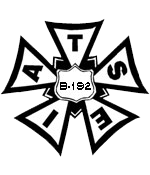 Contact David Akins at davidakins@b192iatse.org. Call the NBCUniversal Retirement Service Center at 1-877-441-6228(NBCU), or log on to Fidelity NetBenfits through the myRetirement page of myBenefits or www.401k.com.